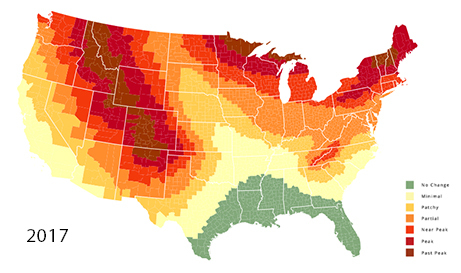 The 2018 Fall Foliage Map is the ultimate visual planning guide to the annual progressive changing of the leaves. While no tool can be 100% accurate, this tool is meant to help travelers better time their trips to have the best opportunity of catching peak color each year. As average temperatures continue to slowly increase, their effect on precipitation patterns and weather will have an impact on the brightness and length of the fall color season across the U.S.
Why Do Autumn Leaves Change Their Color? Some consider it to be the most incredible time of the year. Gorgeous colors vibrantly encoring the end of summer as the trees put themselves to bed for the long sleep of winter. The Great Smoky Mountains floods with thousands upon thousands of annual visitors all hoping to achieve a breathtaking view of the beautiful renaissance of nature. It all starts with photosynthesis. 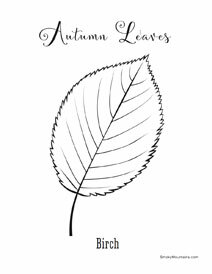 Leaves typically produce their vivid hues of green from spring through summer into early fall through the constant creation of Chlorophyll. As we all learned in 5th grade science, Chlorophyll is the key component in a plant's ability to turn sunlight into glucose, which in turn feeds the trees. 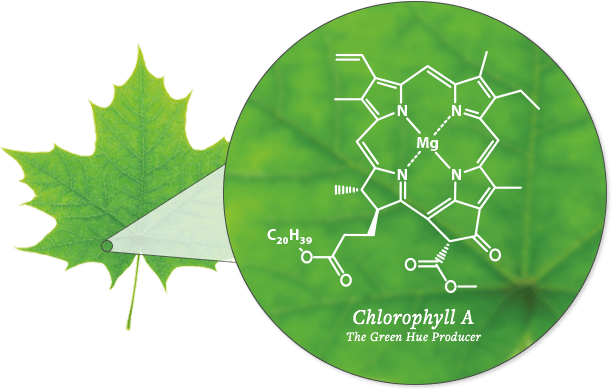 Many millions of these Chlorophyll cells saturate the leaves, ultimately making them appear green to the eye. Without the presence of Chlorophyll in the leaf, the bright golds, reds, yellows, and browns would be the natural colors seen year round. Chlorophyll is not the only player in the fall leaf-color game. 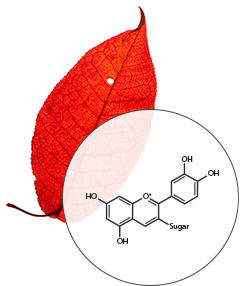 Present in other leaves and trees are the compounds known as Carotenoids and Anthocyanins. As the Fall days begin to get shorter and shorter, the production of Chlorophyll slows to a hault, eventually giving way to the ‘true’ color of the leaf. 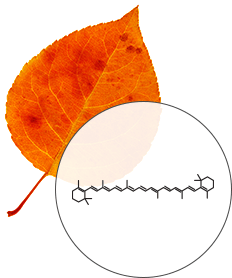 Beta-Carotene is one of the most common carotenoids present in most leaves. Strongly absorbing blue and green light, it reflects yellow and red light from the sun, giving leaves their orange hue. 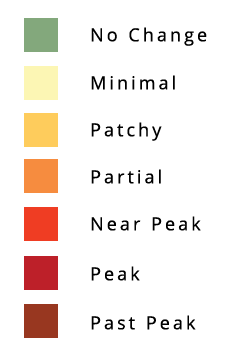 Unlike the carotenoids, anthocyanin production increases dramatically with autumn. This protects the leaf, prolonging its life on the tree through the Autumn season, and also provides the beautiful red color to the leaf. 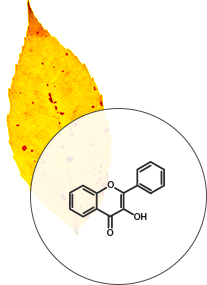 Flavonols, a part of the flavonoid protein family, are always present in leaves, and also contributes to the yellow color of egg yolks. While always present in leaves, it’s not seen until the production of Chlorophyll begins to slow. The beauty of nature is sometimes found in the profound ‘intelligence’ it exudes. Perennials, which includes trees, must protect themselves in order to get through the harsh, freezing temperatures of winter. If trees did not shed their leaves, their soft vegetation would certainly freeze during winter time, damaging and, no doubt, killing the tree. In order to cope with the grueling winter temperatures, trees slowly close off the veins that carry water and nutrients to and from the leaves with a layer of new cells that form at the base of the leaf stem, protecting the limbs and body of the tree. Once the process of new cell creation is complete, water and nutrients no longer flow to and fro from the leaf - this enables the leaf to die and weaken at the stem, eventually falling gracefully to the ground. 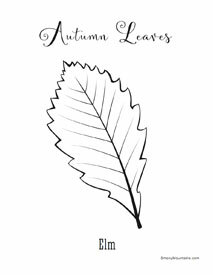 What happens to the fallen leaves? Earth, among other things, is fantastic at recycling. Whether through the water cycle, or the slow process of decomposing plants and trees back in to rich soil, the Earth wastes very little. 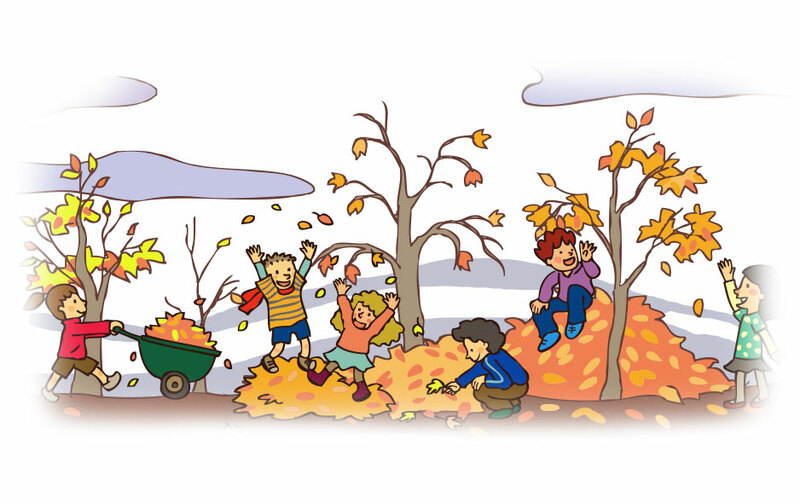 When leaves fall to the ground, they begin to break down and eventually create a rich humus on the forest floor that absorbs dew and rainfall. This nutrient rich ‘sponge’ acts as a continual source of nutrients and water for trees and plants, helping to promote life and plant health in the next spring season. 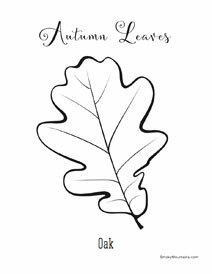 It is not difficult to conclude that while the falling of the leaves protects the trees through winter, it’s likely that trees would not survive as well without the rich layer of dead leaves through the warm spring and summer months. In this way, trees' natural cycle provides health and sustainability for itself year after year. 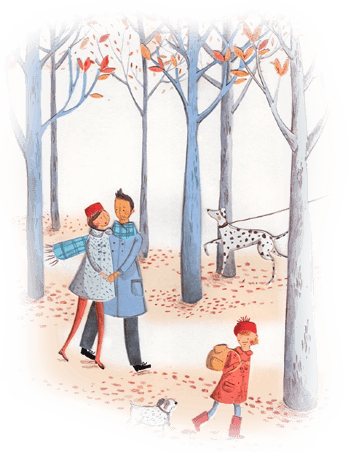 Autumn is a time for family and fun. 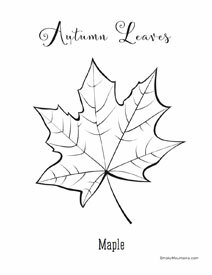 Enjoy these free coloring sheets with your children! Simply click to download.